BURLINGTON, Vt. –Sailing isn’t just an activity reserved for the rich. 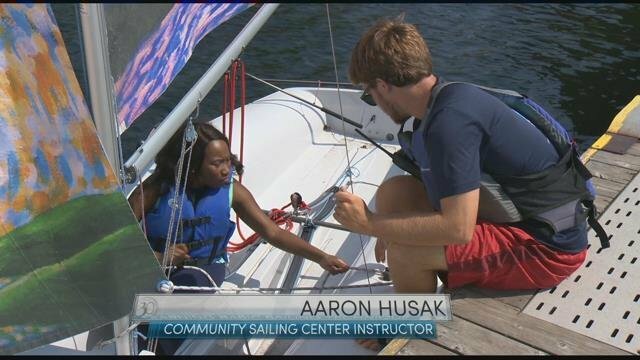 That’s what instructor Aaron Husak told our Eva McKend this week as she took to Lake Champlain for her very own lesson in advance of this weekend’s Sailorbration.There’s still plenty of time to sail this season. In fact, August may be the best time of year. Here’s the latest from Burlington’s Community Sailing Center. 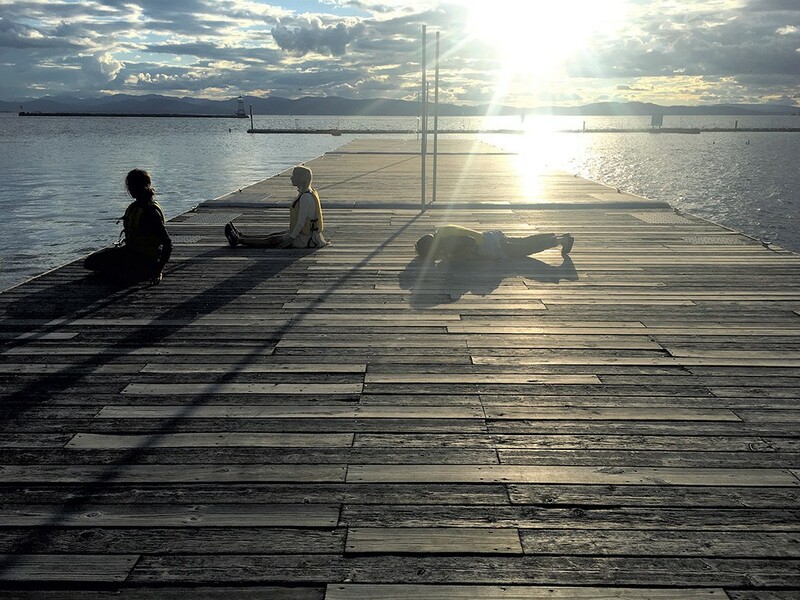 As an arts educator and steward of the land and the lake, Senft Miller has chosen to stage her latest site-specific piece at the Lake Champlain Community Sailing Center on Burlington’s waterfront. She’ll act as a conductor of sorts, orchestrating a multi-sensory performance with more than 40 artists and dozens of moving parts at this weekend’s 24th Annual SEABA South End ArtHOP. The South End Art Hop is generally confined to, well, the South End. But this year, Erika Senft Miller is attempting to expand those boundaries by drawing crowds to the Community Sailing Center on the Burlington waterfront. “Between Land & Water” is a collaborative, site-specific performance featuring choreography of multiple movers on land and lake. Roxanne Scully of WND&WVS will lead dancers on paddleboards. Other groups, directed by local choreographers, will be stationed on the retaining wall, dock and other features of the sailing center. Composer Matt LaRocca, along with area musicians and the South Burlington Community Chorus, will provide the soundtrack to the evening. Expect them, too, to appear in unexpected places.